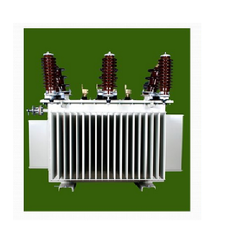 We are engaged in manufacturing and exporting a precision engineered range of Distribution Transformer. Our range of Distribution Transformer comprises Furnace Transformers, Heat-treatment Transformers, Equipment Transformers, Open Delta Transformers, Multi Tapping Auto Transformers and Custom Built Transformers. These are fabricated using high grade raw material and ensure smooth functioning. 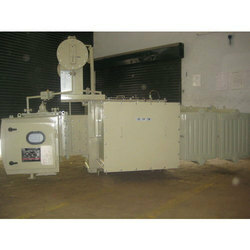 We manufacture Distribution Transformer from 5 KVA single phase to 2500 KVA three phase. These can work at different voltage and frequency levels according to the standards prevailing in the various countries. One of the advantages of a distribution transformer is that they have an excellent capacity to withstand overloads. A distribution transformer is an electrical transformer that is used to carry electrical energy from a primary distribution circuit to a secondary distribution circuit. This can also be used to transfer current to a secondary distribution circuit or to the service circuit. 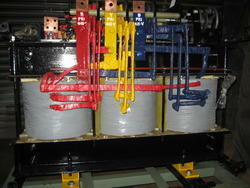 These transformers minimize the voltage supply of the primary circuit to the amount of voltage desired by the consumer. The amount of this voltage keeps on changing and can be different for commercial consumers, residential consumers and light industry consumers. We offer high-efficiency Dry Type Distribution Transformers that are made by from the premium raw materials to add durability and performance. 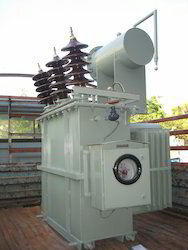 Available in a variety of sizes, our Dry Type Transformer can be customized as per the needs of the clients. These are available at market leading prices. 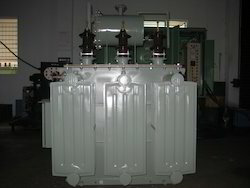 We manufacture both Pole Mounted Transformer in corrugated tanks. The products we offer are developed by a team of deft experts employing technologically latest machines and tools to meet the diverse demands and requirements of the clients. Extensively used in various industrial applications, these are offered at industry leading prices. Lighting Transformers are designed to supply power to lighting equipment in a commercial/industrial/domestic unit. Its primary supply connected to higher voltage source and secondary is to be connected to load. We are an organization known for making high-quality Outdoor Distribution Transformers. Built by using superior quality raw materials and under the supervision of skilled and experienced staff, our outdoor high voltage transformers offer higher endurance and efficiency levels. Owing to our enriched experience in making transformers, our transformers are high in demand among various domestic and international markets.